Only downside with this was that I did not do my best to stay close to the microphone, and that means my voice goes in and out a fair bit. I’m used to talking with my voice picked up by different devices, so I’ll need to remember that for the future. Still, you can get all the contents of my talk reasonably well, and the presentation went really smoothly. Plus, great folks at SiTP Koeln. They had some really good questions, but it doesn’t look like the Q&A was recorded. 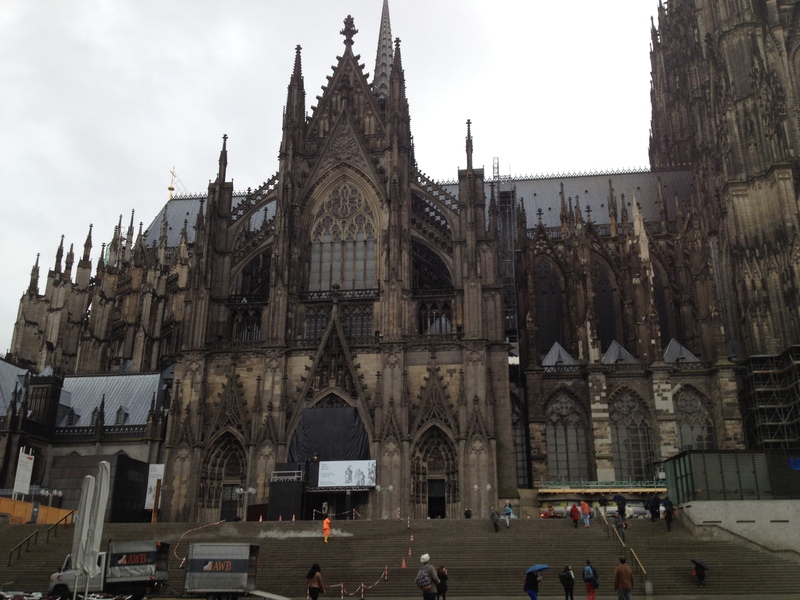 I also didn’t know this before I went there, but Cologne is the city were, allegedly, the bodies of the Three Kings/Magi are kept; the city’s coat of arms reflects this, and the cathedral with those bodies is a UNESCO site, and it is a lovely building. A bit of review of me and my talk can be found here and here (auf Deutch). Hopefully I can find an excuse and go again to this group. Also, the holidays are approaching, so if your group needs a speaker on a timely subject, let me know. This entry was posted in Aliens, Astrology, Astronomy, Bible, Books, Christianity, History, Jesus, Pseudoscience, Religion, Science, Star of Bethlehem and tagged Aliens, Astrology, Astronomy, Bible, Christianity, christmas, date of jesus birth, historical criticism of the bible, History, history of science, infancy narratives of jesus, Jesu, Jesus, jesus birth, Pseudoscience, science, Star of Bethlehem by Aaron Adair (Gilgamesh). Bookmark the permalink. Correction: ….the city’s coat of arms… Not the cities coat of arms. Oops. Thank you for catching that. Fixed now.